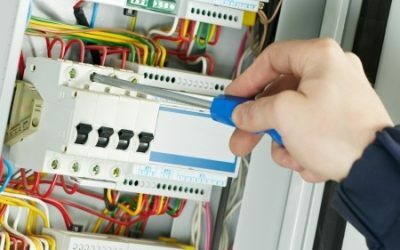 If you’ve ever known someone who had a house fire break out in the middle of the night, or had a circuit breaker issue at 3 AM, then you know how important 24 hour electricians are. Like many issues related to being a homeowner, electrical problems rarely occur neatly between the hours of 9 AM-5 PM, Monday – Friday. Even when they do, it’s rare that an electrician can be dispatched to fix them right away, which can leave the homeowner and their family vulnerable to dangerous conditions. How Can a 24 Hour Electrician Help Protect Your Home? Even in this day and age of modern technology and electricity, many house fires are caused by a fault in the home’s electrical system. It could be due to old or faulty wiring; it could simply be a bad wire that has created a spark, or it could be an overload. Whatever the reason, the results can be devastating. In addition to house fires, faulty wiring can also cause less serious but still risky issues such as frequent blackouts or circuit breaker problems. This may not be life-threatening the way a fire is, but it can cost you money in both electrical repair costs and costs to replace appliances. When appliances are constantly exposed to electrical outages and surges, they can wear out much faster, meaning they need to be repaired or replaced more often. If you contact a 24-hour electrician as soon as you notice a concern, you can head off many major electrical problems while they are still small. While the cost may be greater than calling for an electrician during business hours, a 24 hour electrician can provide peace of mind during situations that can be very stressful. They can replace circuits, make repairs on wires and wiring systems, and ensure your home is safe to inhabit. In the event larger repairs are required, they can make sure the parts you need are obtained and installed before too much time passes. What Happens When I Call for a 24 Hour Electrician? You will generally reach an after-hours dispatch. Many companies have 24-hour customer service, so an employee will take down your information and let you know a rough window when you can expect a response. The representative will contact the on-call electrician. Many companies will have rotating electricians on-call, where each electrician employed takes a turn being on-call each night. You will receive a call back from the on-call electrician. They will attempt to help you solve the issue over the phone first, to avoid needless charges for an emergency appointment. If your problem cannot be solved over the phone, the electrician will dispatch themselves out to your location with the tools they need to diagnose and potentially fix the issue. 24 Hour Electricians Can Save Your Life! No one likes to think about needing an emergency electrician. After all, the cost for an after-hours appointment with any service will be high, and the news may not be positive. However, when it comes to your home, major electrical problems can cause house fires and other issues which will cost you money over the long run. Reaching out to an emergency electrician at the first sign of trouble can help save not only your home but your life as well. At Bryan Electric, our electricians are available anytime day or night to meet your electrical repair needs. Give us a call at (770) 680-2144 or visit us online to reach our 24 hour electricians.